Never suffer the humiliation of your other half's mirth with crooked handy-work again. 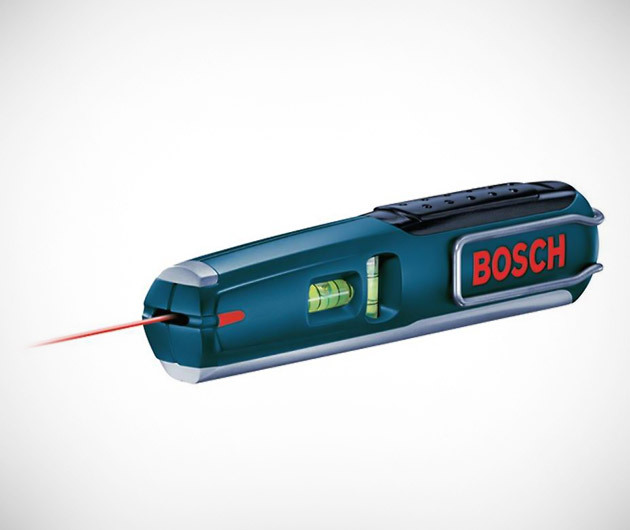 The Bosch GPLL5 Pen Line Laser Level features a bright single laser line for horizontal, vertical or angular applications, and a hand level with aluminum base. There's also an easy-grip handle, built-in magnet and belt clip for convenient carry and use.